Since moving to our new home this past month, I've been getting into home decor projects. Being from Colorado I really want to incorporate that western style into our home in Georgia. Which brings me to the Cacti Collection from OESD. 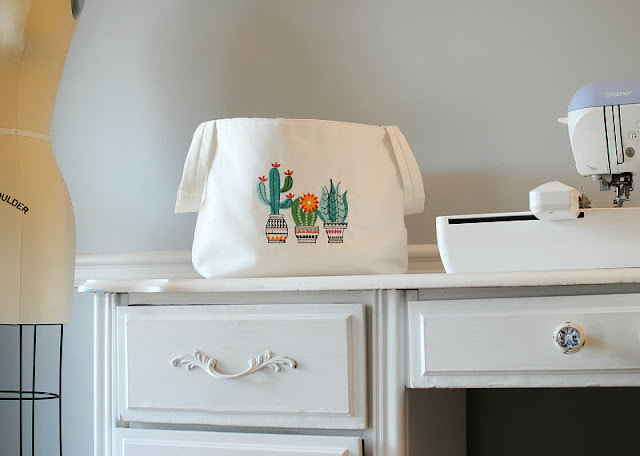 The collection is 3 unique designs featuring the prickly plant. 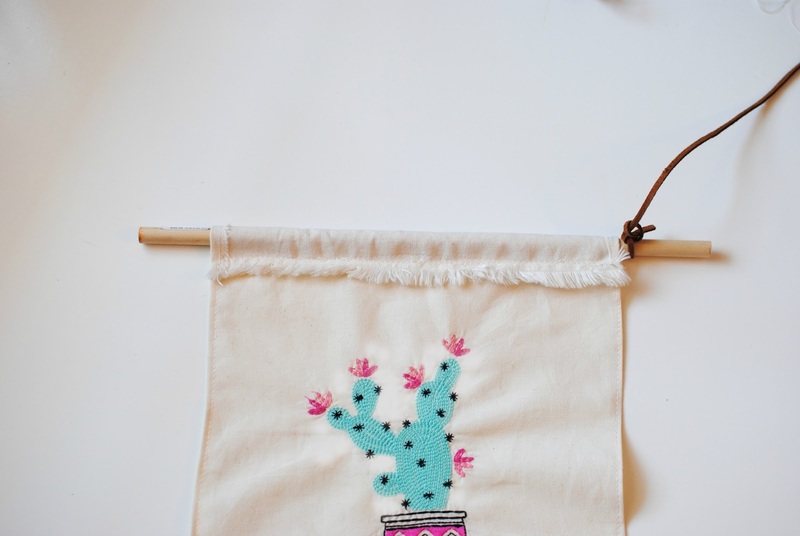 The cactus reminds me of the desert mountains of Colorado, a symbol of home away from home. 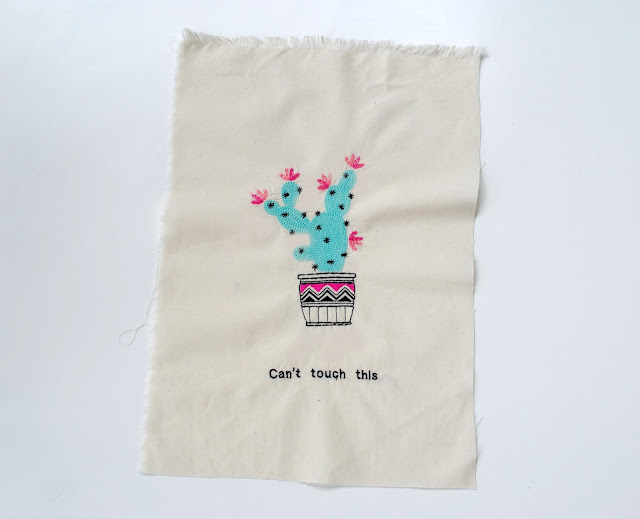 These designs are also cute additions to t-shirts, sweatshirts, denim, and more. We came up with some great back to school projects you can make with these Cactus embroidery designs. 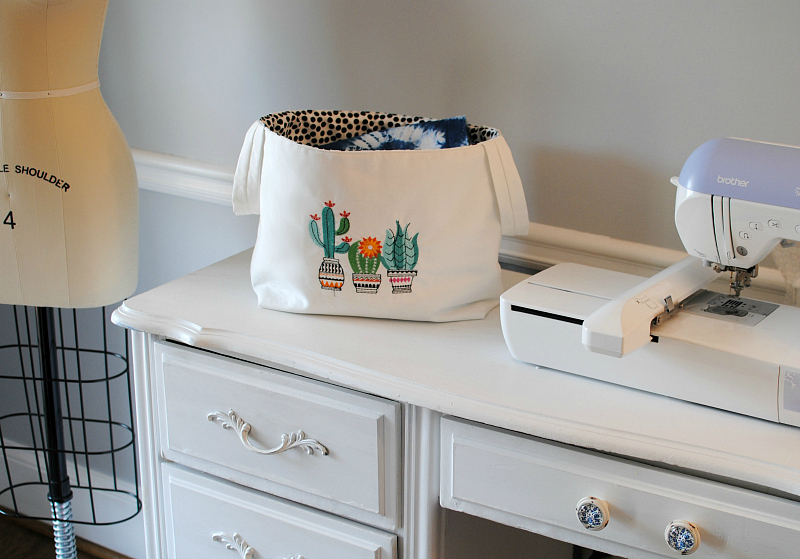 Add some fun to your space with a wall tapestry or customize fabric baskets for a visually appealing way to organizing. Below I show you how to create a fabric basket which is perfect for storage from fabric scraps, supplies, and even clothing items (socks, scarves, etc.). 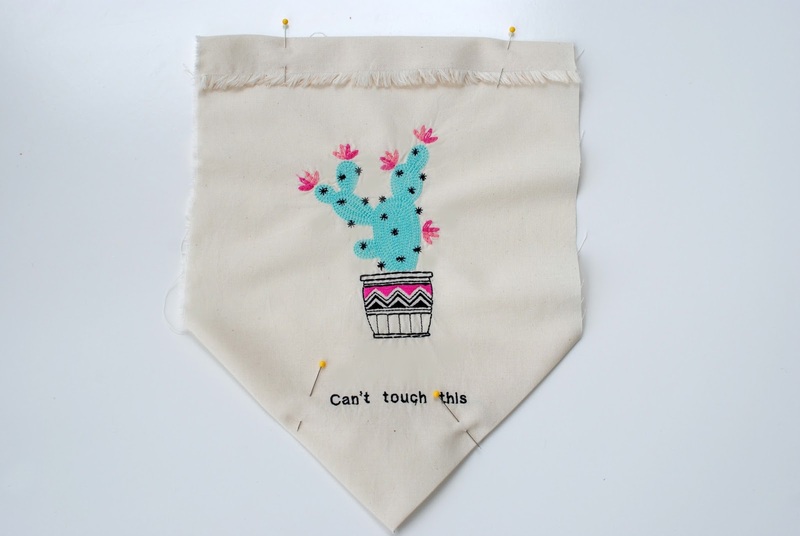 Then add an embroidered wall tapestry to personalize your space. 2 exterior pieces 14 x 20"
2 interior pieces 14 x 20"
2 fusible fleece 14 x 20 "
2 handles: 4 x 10"
Seam allowance is 1/2" unless stated otherwise. 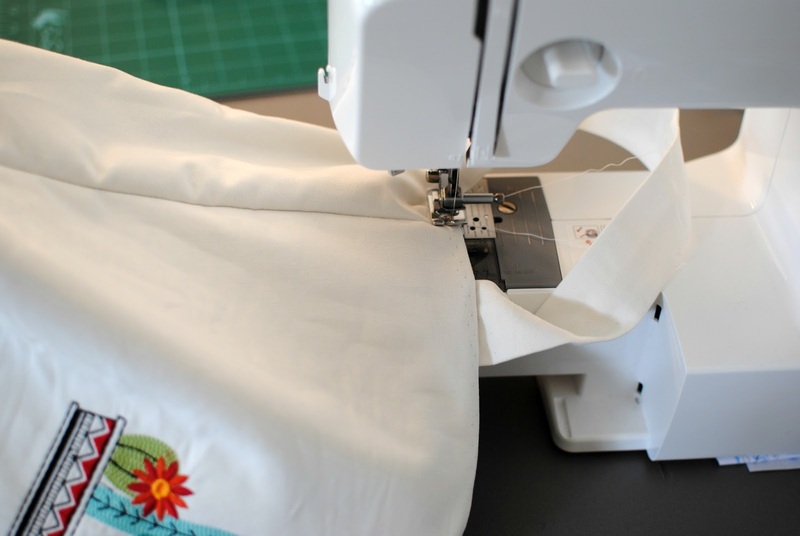 If embroidering your exterior pieces, use your hoop template and mark about 1.5" down from the top at midpoint. You don't want it directly in the middle (width wise) because this piece wraps around to the bottom. Stabilize using 2 layers of OESD's Ultra Clean & Tear. 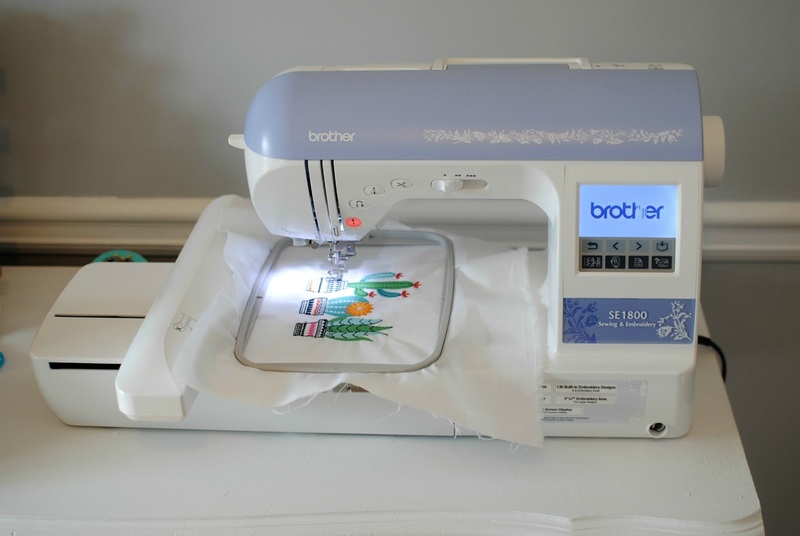 I embroidered both front and back exterior pieces with my Brother SE1800, just make sure to stabilize each one if you do. While embroidering complete the straps. 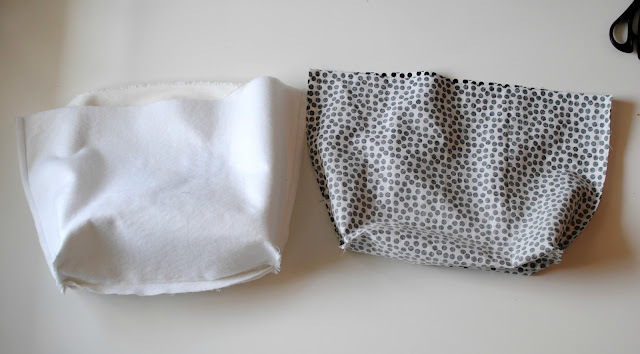 Simply fold the strips right sides together and sew. Flip the right side out using a Dritz loop turner. Then press so the seam is in the middle of the back. 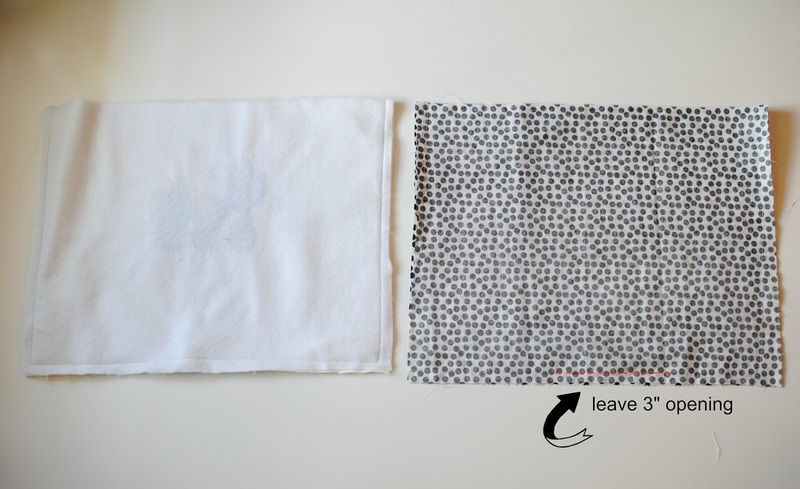 Once embroidery is complete, remove the jump stitches and tear away stabilizer. 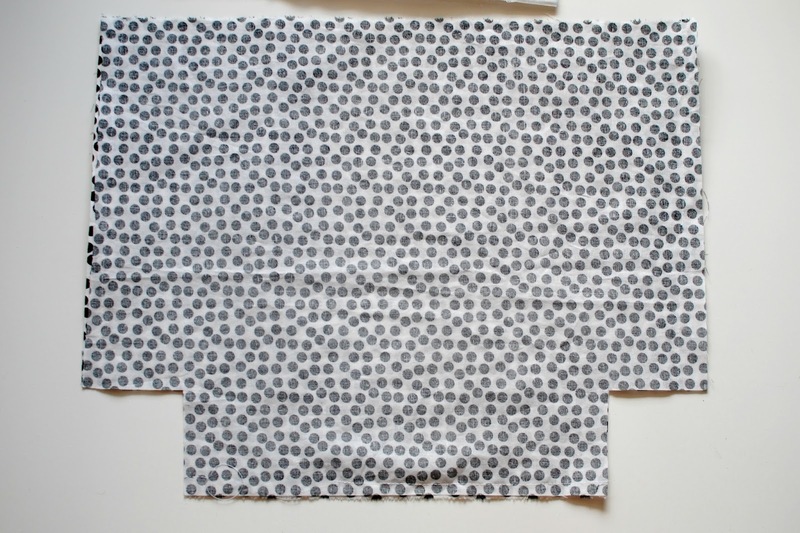 Now press Pellon's fusible fleece to the exterior pieces against the wrong side of the fabric. Once done, sew both front and back pieces right sides together. 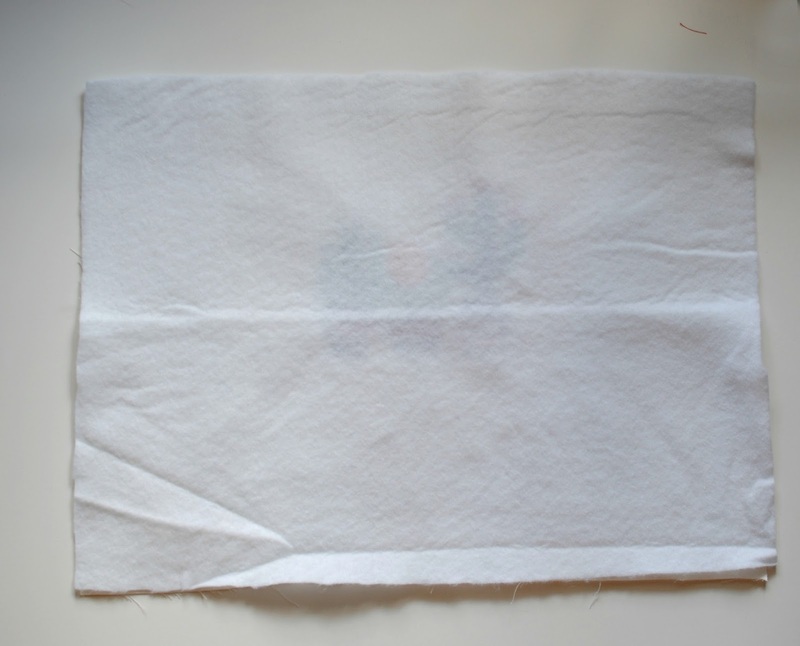 You will also need to sew the liner right sides together. 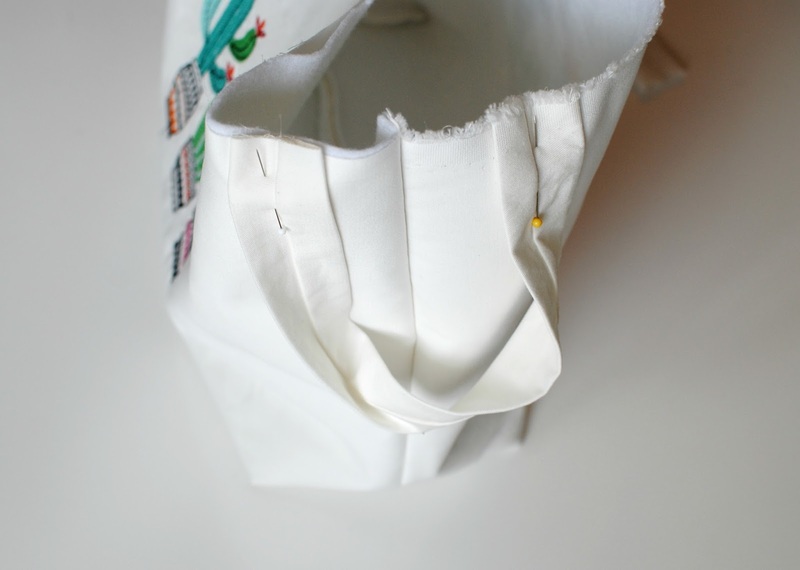 At the bottom of the liner only, leave a 3" opening in the middle to turn out. Mark a 3" square on the bottom corners of the exterior and liner. Now fold so the bottom and side seam meet and pin (right sides should be together). You will repeat this for the liner as well. Attach the straps to the exterior piece: Pin the straps right sides together on the exterior piece 1" from the side seam on each side and sew 1/4" seam allowance. Do this for both sides. Now place your exterior piece inside the interior piece so the right sides are together. Sew 1/2" seam allowance all away around the top incasing the straps. Pull everything out from the opening we left on the liner. Flipped out it will look like this. 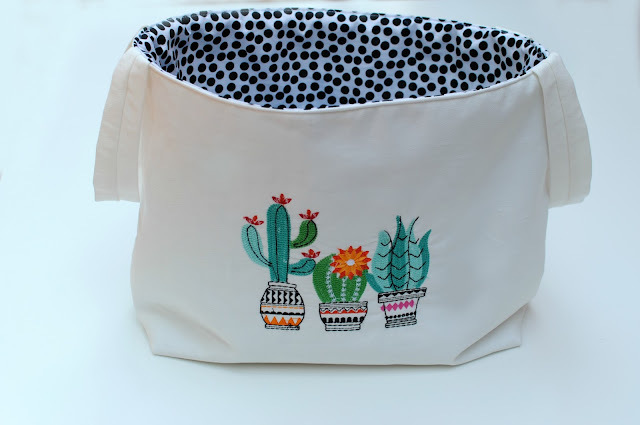 Now you will want to edge stitch all the way around the top. This will give the basket more stability and keep the liner from coming over the exterior. The edge should appear like this now... How cute is this embroidery? Last, sew the interior opening closed. 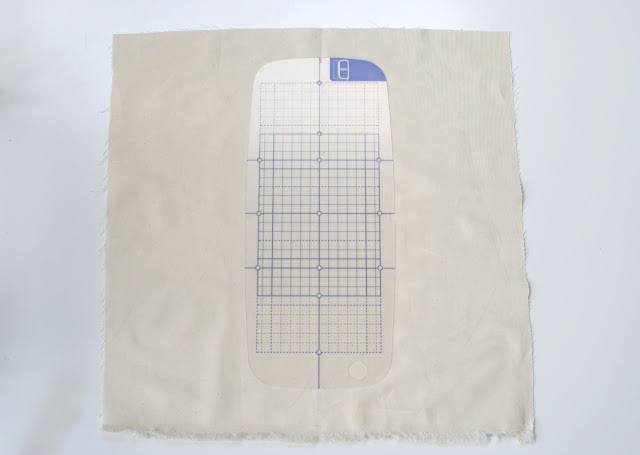 Cut a sheet of fabric as large or small as you'd like... Mine was 10" x 15". I based this measurement on the size of the embroidery pattern. 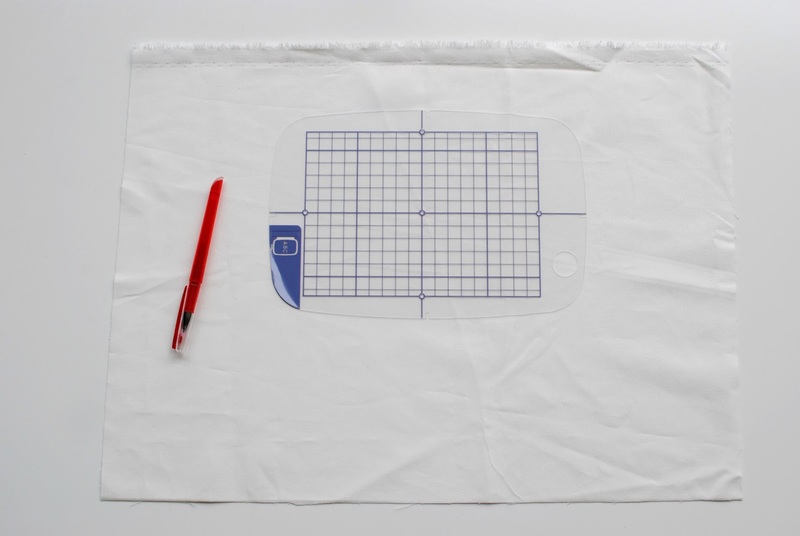 Use your hoop template and mark the center using an iron erasable pen. 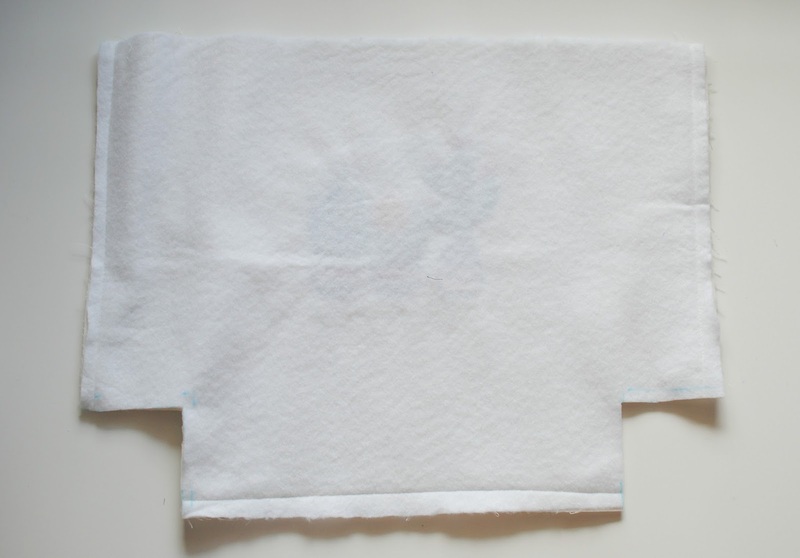 Stabilize the back using one layer of the Ultra Clean & Tear. Remove the tear away stabilizer and jump stitches. Once done, flip the bottom edges up to create a center point and press. You will also want to fold over the sides a 1/4" and press. Edge stitch everything into place. Last fold over the top about 1 1/4" and sew a 1" hem allowance to create a casing for the rod. I love the fringe seam allowance and flipped mine towards the right side, otherwise you should flip it towards the wrong side. 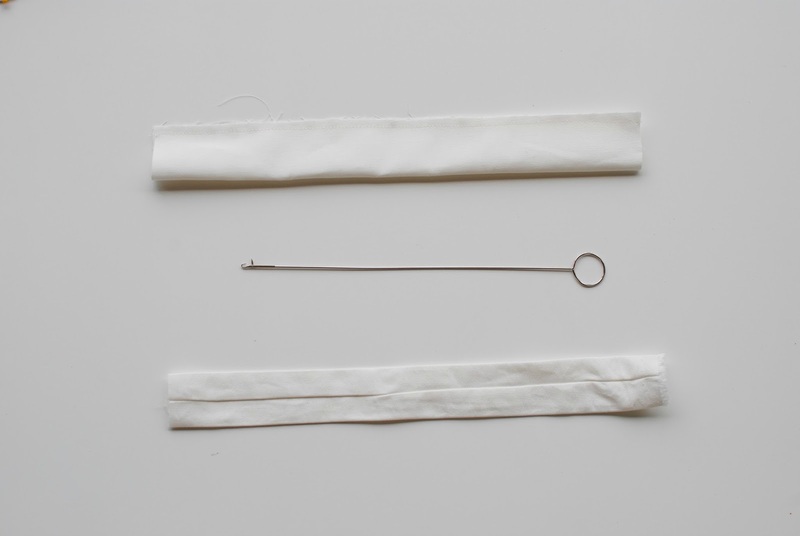 Insert the rod through the casing and use some cording to knot on the edge of each side. 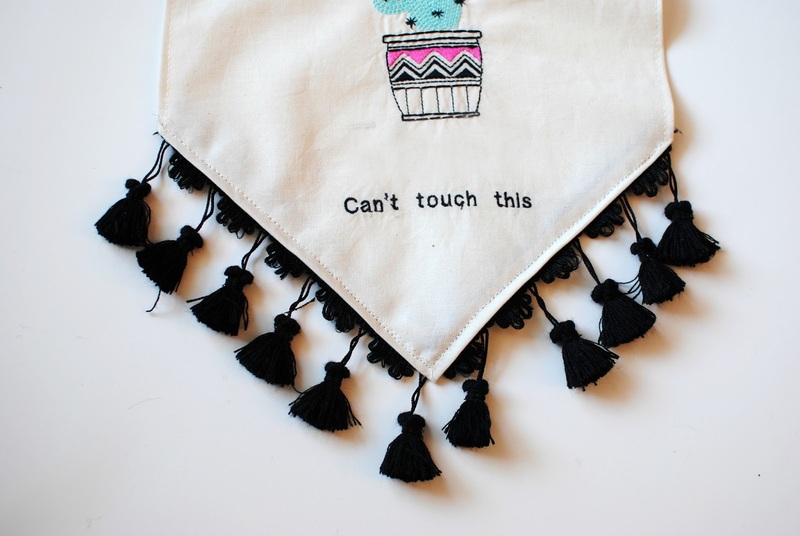 I couldn't help but add some tassel fringe to the bottom. 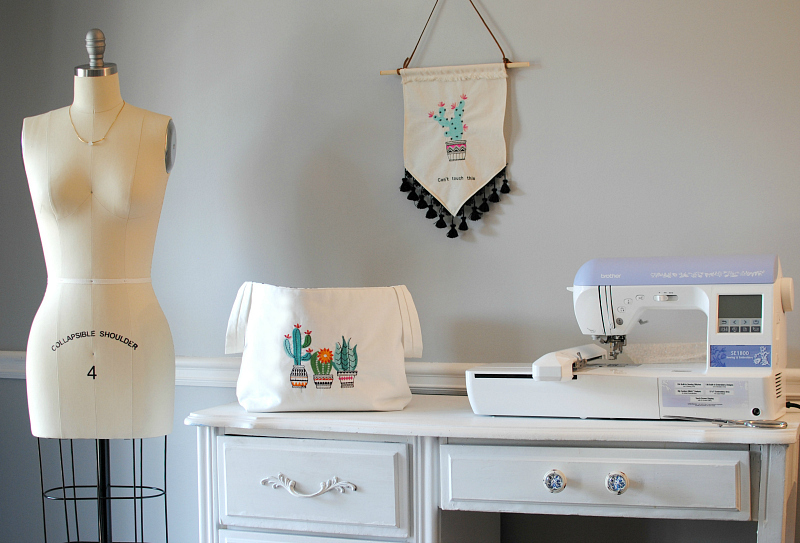 Just simply top stitch along your previous stitches. I loved how these turned out. 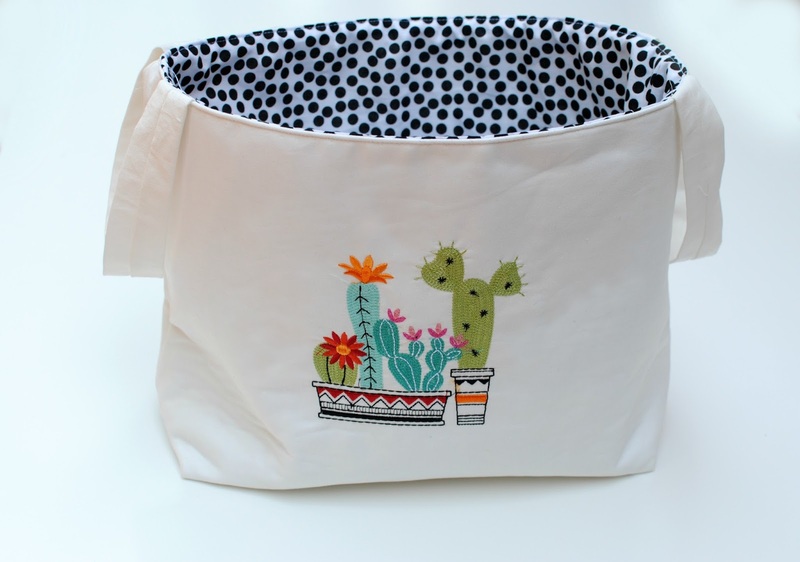 They're perfect back to school projects to add to any space. They also make great gifts! 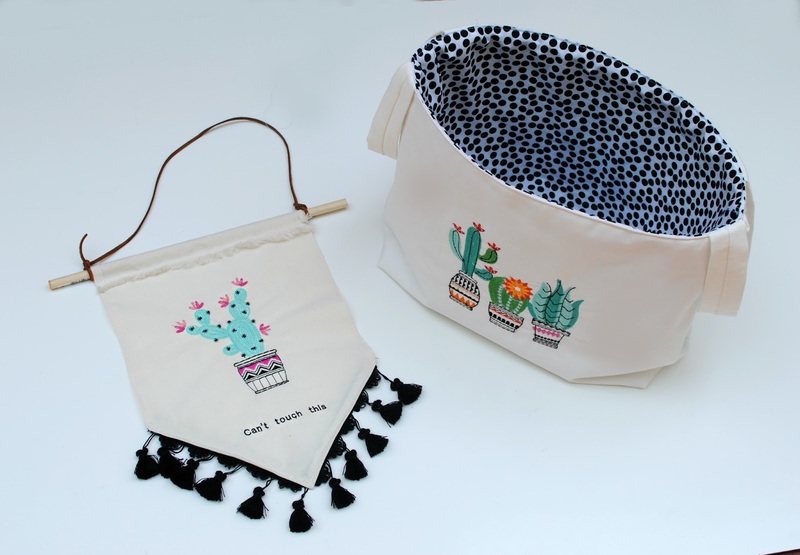 Try these out yourself and make sure to check out OESD's new Cacti Collection here. *In collaboration with OESD. Check out Embroidery Online for more designs and products. Such an amazing embroidery designs.you have explained ti very well thank you. Hat Embroidery would also look adorable. We have been looking to get the free movie maker windows 10 online here. 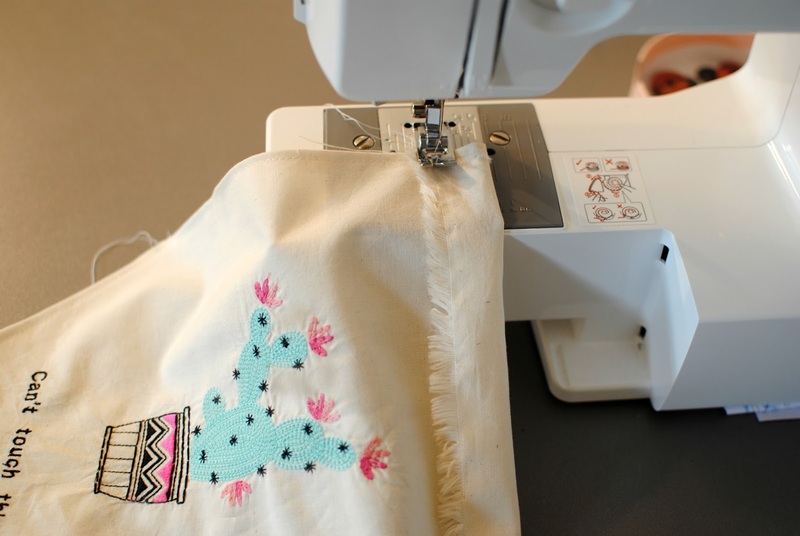 I am delighted that I noticed this website, precisely the right information that I was searching for Embroidery Library Thanks for Sharing! if you want to have a product which can decorate your house or office and also helps to decrease down the stress level then going for these mandala tapestry in a better option.